On a mission to ensure aerospace suppliers of all sizes are prepared to compete at a new level for the next wave of aerospace programs, XD Innovation announces a new set of affordable cloud-ready packaged solutions for the Dassault Systèmes 3DEXPERIENCE platform. Seattle, WA, April 03, 2019 --(PR.com)-- XD Innovation announces new 3DEXPERIENCE cloud-ready packages for small & medium aerospace suppliers. As major aerospace companies such as Boeing and Airbus adopt Dassault Systèmes 3DEXPERIENCE platform, XD Innovation is committed to helping small to medium aerospace suppliers prepare for the next wave of aerospace programs. The company has developed cloud-ready, affordable 3DEXPERIENCE POWER’BY packages for Design, Product Lifecycle Management, Simulation and Manufacturing, that will enable suppliers to prepare for the future without upheaval to their present infrastructure or negative impact on their current business processes. “As more aerospace OEMs are moving towards adopting 3DEXPERIENCE platform, XD Innovation has created packages aimed to help small and medium aerospace suppliers deploy CATIA, DELMIA, ENOVIA and SIMULIA capabilities on the 3DEXPERIENCE cloud. We’re excited to reduce complexity, costs, and time to value for our customers,” added Soufiane Elaamili, CEO, XD Innovation. 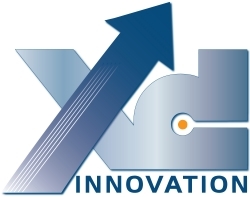 XD Innovation is a Dassault Systèmes Platinum Value Solutions Partner, Education Services Provider, accredited Certification Center and Cloud Partner of the Year. The company focuses on delivering powerful, impactful technology solutions for product innovators in the aerospace industry. In addition to software, XD Innovation provides consulting and value-added services for product development technologies, enabling 3D Design, Engineering, Simulation, Data and Process Management, Quality and Compliance.